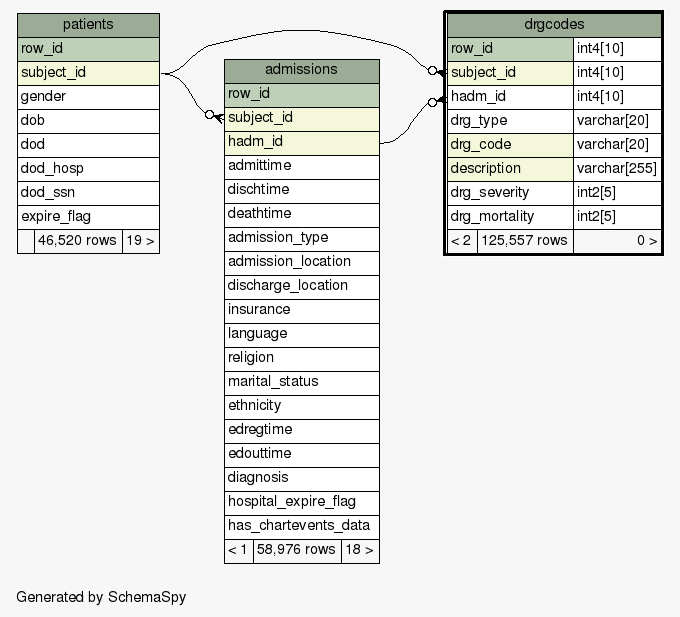 Hospital stays classified using the Diagnosis-Related Group system. drg_severity int2 5 √ null Relative severity, available for type APR only. drg_mortality int2 5 √ null Relative mortality, available for type APR only.